On February 21, 2014, Alex George and three other males entered a residence on Carlow Avenue in Kill Devil Hills and assaulted one of the residents. The victim suffered serious injuries as a result of the attack. On October 5, 2011 Rodriguez was operating a 1993 Chevy Lumina and drove through the intersection at Colington Road and US 158 without stopping for a red flashing warning light. He struck another motorist, killing passenger Joe Storie, 51, of Lenoir, NC. Rodriguez was charged with DWI, Felony Serious Injury by Motor Vehicle, and Felony Death by Motor Vehicle. 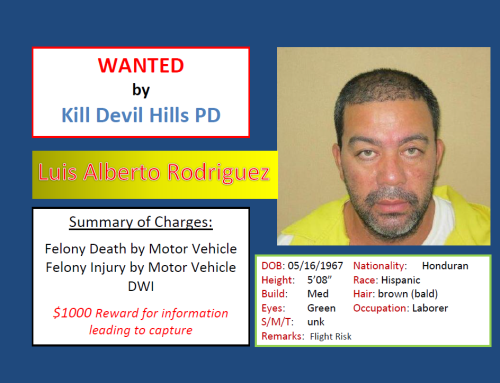 Rodriguez attempted to abscond after receiving medical treatment at a Virginia hospital and was captured. 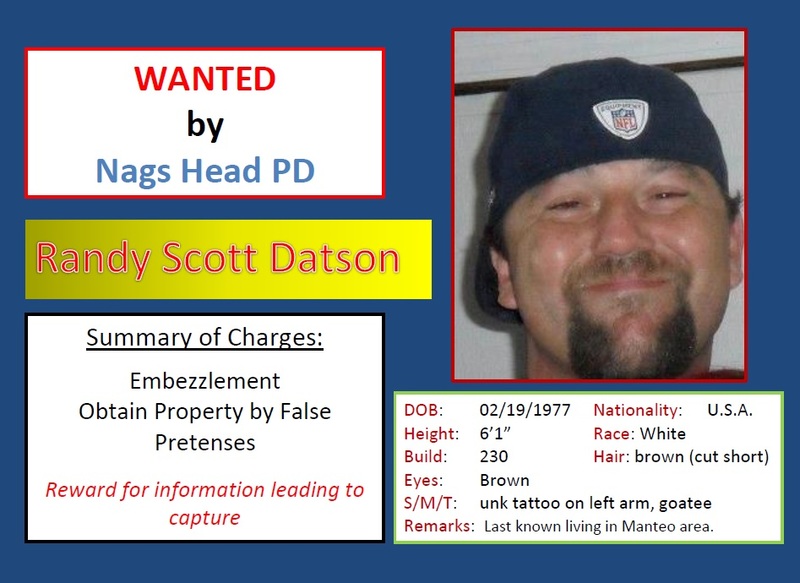 He effected a second escape after posting bail, and his current whereabouts are unknown. 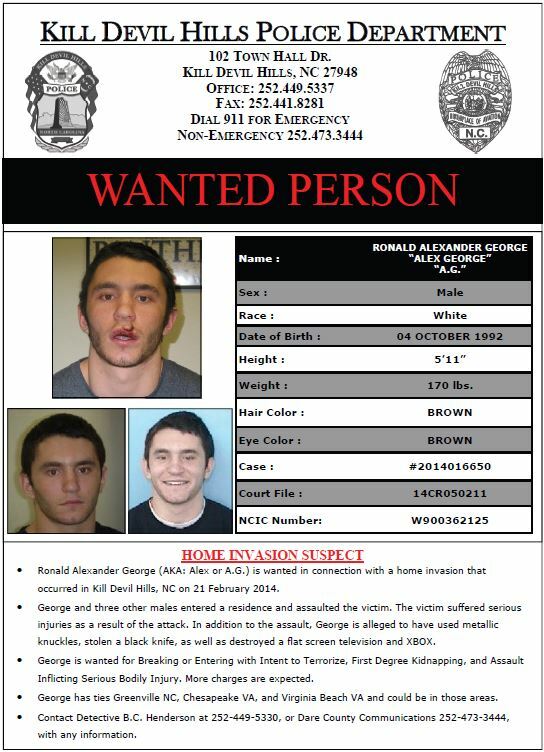 Rodriguez may be in the Raleigh/Durham area or Tennessee. The Dare Community Crime Line has authorized and automatic reward of $1000 for information that leads to the apprehension of Rodriguez.